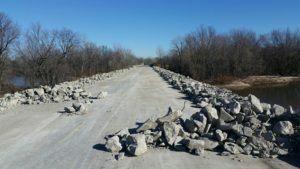 Highway 99 Bridge Closed The Highway 99 bridge heading East out of Wapello is CLOSED until further notice. Please use alternative routes to get to winery. Get a sneak peek into the wine making process and learn about the process and hard work that goes into make our delicious wines. We offer a large selection of wines that is sure to please any palette. Enjoy the vast amount of flavors that Iowa grapes have to offer. 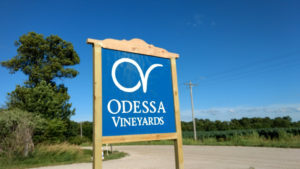 Find where you can pick up some of your favorite Odessa Vineyards wines near you. Come join us during our Summer Concert Series, where you can sit back and enjoy relaxing music, delicious wine and food vendors. Are you looking for event space for your wedding, family gathering, or class reunion? We offer a large outdoor building space and indoor space. Learn more about what we offer. Our winery and vineyards are situated on the bluff between the Iowa and Mississippi Rivers, just 2 miles west of our namesake, Lake Odessa. We currently grow 7 varieties of grapes, both American and French-American hybrids particularly suited for our varied climate. Our attentiveness to the grape from vine to bottle assures the production of fine wines to suit a variety of palates. Subscribe to receive the latest news, products and deals.